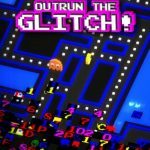 Pac-Man in a bubble shooter game? 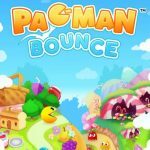 We’ve seen Pac-Man in the Match 3 world before, and now, Bandai Namco has placed the iconic character in the bubble shooter scene in the new game Pac-Man Pop. 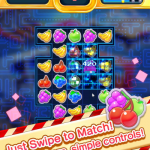 The game is available for Android and iOS users right off the bat, and the premise here is that Pac-Man needs you to help him shoot bubbles, eat fruit, and pop Inky, Blinky, Pinky, and Clyde (the Ghosts), who have trapped all of Pac-Land’s fruit and trapped Pac-Man’s pets in bubble traps. There are hundreds of levels for you to solve, and if you’re looking for an innovative themed take on bubble shooters, this may be the game for you. Oh, and there are also some Match 3 mechanics in this game, as you will have to match three bubbles in order to pop them, and you’ll also get chances to string together combos by matching more than just three bubbles. That pretty much sums up things when talking about the game and its features, but you may be wondering about the things you can do so you can become better at the game, complete more levels, and complete them with a perfect three stars. 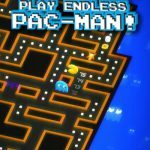 Have no fear if you’re struggling at this title, because our Pac-Man Pop tips and tricks are guaranteed to help you in moving forward from strength to strength in this game. 1. Where Should You String Your Combos Together? The best place for you to form, or string together your combos, would be at the topmost part of each level. Why should you string them together, though, at such a point in the levels? As this is mainly a bubble shooter game, popping combos from the top part of the board will make all the bubbles attached fall down, thus adding to your point total. This allows you to complete a level in less moves, and since excess moves at the end of a level count toward your bonus points, that should give you a much better chance of getting three stars. 2. How Does Color Blind Mode Work? Not all of us are able to enjoy Match 3 games, bubble shooters, and other similar arcade puzzlers due to the copious use of color in those titles and the fact that there are people who are color blind. But Pac-Man Pop comes with a color blind mode that should be of help to anyone with color blindness, as it places corresponding icons inside each type of bubble, with the icons representing the color in question. The green bubbles, for instance, would come with shamrocks inside once you play the game in color blind mode. Simply turn the mode on and start a new game so you can take advantage of this feature. One neat thing about bubble shooters is that they challenge your creativity, and often force you to make trick shots in order to achieve certain things. That is the case once again in Pac-Man Pop, particularly in the levels that rotate. In those levels, you’ll have to beat the ghosts located inside the bubble wheels by shooting a bubble and hitting the ghost inside of it. In order to launch one of those trick shots, you will have to determine which direction the bubble is rotating, and come up with enough space to fit one bubble. Shoot that bubble, and watch the attached bubbles fall off once you hit the ghost. Coins are the game’s premium currency, and you can use them to buy boosts in the in-app store. But since it can be quite hard to get coins while playing the game, and since Bandai Namco hasn’t included too many ways for players to get free coins, it would be best to save them for emergency situations, and to use whatever boosts you have only when you need them. You definitely don’t want to be using or buying boosts for the first few levels of the game, for instance. This wraps up our guide for Pac-Man Pop. If you happen to know more tips and tricks for the game, feel free to share those hints with us below in the comment section!